Ashtapad Overseas maintains one of the world’s largest inventories of Stainless Steel Pipe (welded and seamless), Fittings, and Flanges for energy and industrial applications. 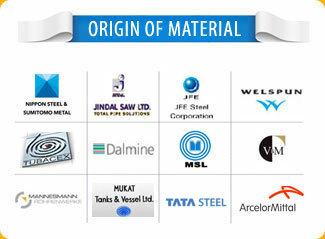 Ashtapad Overseas is a family owned and operated steel pipe fittings & flanges manufacturer. 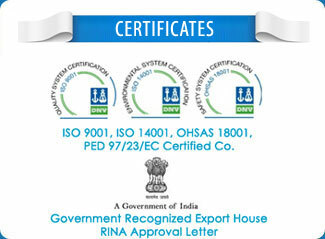 We are recognized and revered worldwide as the most qualified and capable manufacturer & supplier of small to medium size stainless, carbon and alloy tubing, pipe, pipe fittings & ASTM A269 Seamless and Welded Austenitic Stainless Steel Tubing. Ashtapad is well positioned to meet the needs of a variety of markets. ASTM A269 Seamless and Welded Austenitic Stainless Steel Tubing supplied by us are industry standard approved and certified. Have major applications in Oil, Gas, Petrochemical, Power and Desalination, Civil Construction, Ship Building, Marine, Food, Dairy and other associated industries. 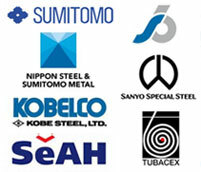 Few of the major brands we represent are Arcelor Mittal, Sumitomo, Tenaris, Benteler, Jazeera Steel, Hyundai HYSCO, Arabian Pipes Company, Froch, etc. 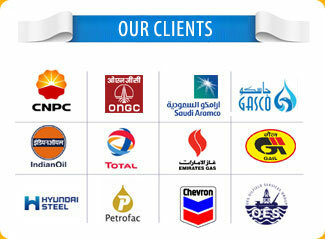 Our materials are approved by Saudi ARAMCO, SABIC, SHELL, ADNOC, GASCO, PDO, KNPC, KOC, QATAR Gas, SGC etc. We are nickel alloy, titanium, duplex alloy, and stainless steel suppliers to businesses throughout India and in over 45 countries. Ashtapad offers a wide range of Round Pipes & Tubes, Coil, ‘U’ Shape tubes, Square pipes & tubes, Rectangular tubes, ASTM A269 Seamless and Welded Austenitic Stainless Steel Tubing, 316 Seamless Tubing, 316 Seamless Pipe, ss 316l Seamless Pipe, 304 Seamless Tube, 304 Seamless Stainless Steel Tubing & Hydraulic Tube etc. We can meet most ASME, ASTM, AMS, and military specifications, and can cross-reference to most international standards, including full DIN 3.1b, full 3.1/3.2 Certifcation and NACE requirements. There are three classes of manufactured tubing: seamless, as-welded or electric resistant welded (ERW), and drawn-over-mandrel (DOM). Seamless tubing is produced via extrusion or rotary piercing. Drawn-over-mandrel tubing is made from cold-drawn electrical-resistance-welded tube that is drawn through a die and over a mandrel to create such characteristics as dependable weld integrity, dimensional accuracy, and an excellent surface finish.